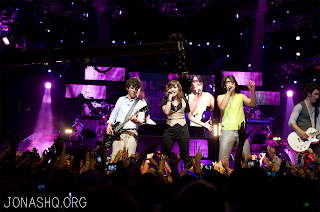 LINES, VINES, AND JONAS TIMES: JONAS BROTHERS 3D MOVIE SOUNDTRACK OUT TODAY ! Features "This is Me" with Demi Lovato, "Should've Said No" with Taylor Swift, and a Shania Twain cover, "I'm Gonna Getcha Good." Also, brand new song- "Love Is On Its Way"